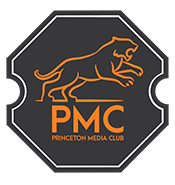 The Princeton Media Club connects media, marketing and technology executives from across the Princeton area so that they may collaborate, commiserate and consume fine food and drink! The Princeton Media Club members represent all aspects of the digital media ecosystem spanning brands like Pernod Ricard, Church & Dwight, Bai, Colgate and Palmolive; media companies including Viacom, NBCU, AMC, Google, and Facebook; agencies like Mediaedge, Mindshare, Princeton Internet Marketing, and Princeton Partners; and entrepreneurs from OFC: Office Channel, GK Digital Media, to Tribal Ventures. The Princeton Media Club was founded in 2013 by Greg Kahn and Jordan Berman. GET CONNECTED WITH MEDIA PROS NEAR PRINCETON TODAY!